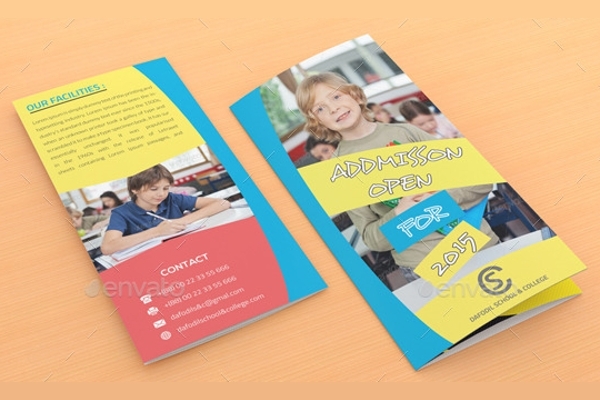 It is very important to have a great brochure for any institute be it school, college or university. 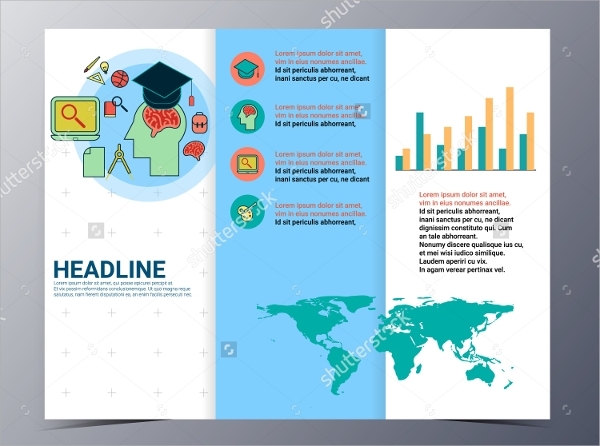 It is going to reflect the quality of education you provide and this is what will persuade the students and their parent to get admission in that college. 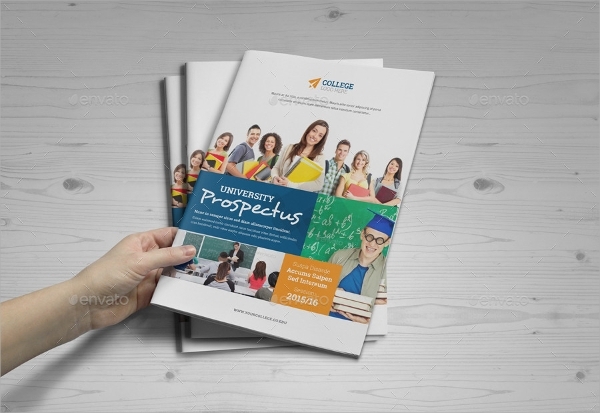 The following college brochures are best to be used for this purpose. 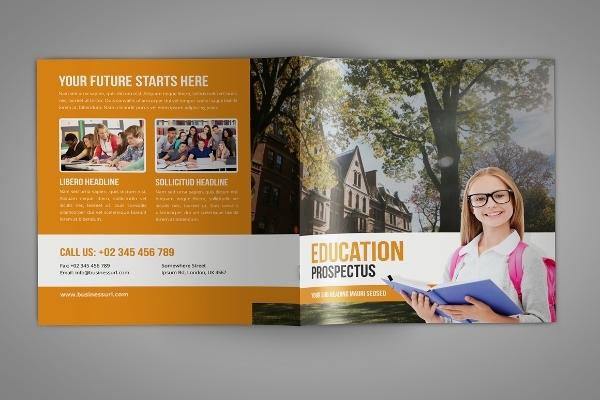 This classic looking trifold college brochure is in A4 size with 3mm bleed. 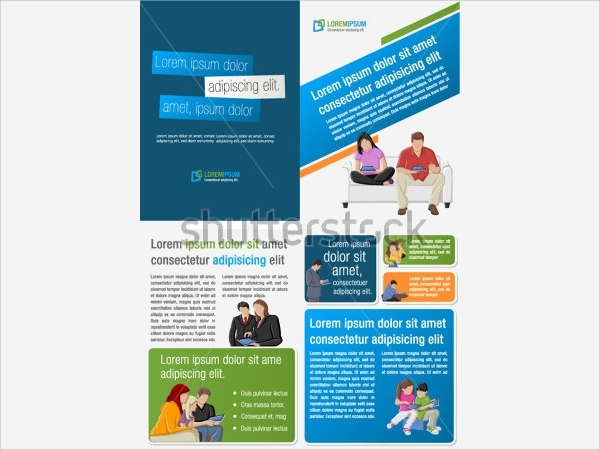 It is fully editable with the provided PSD source file. 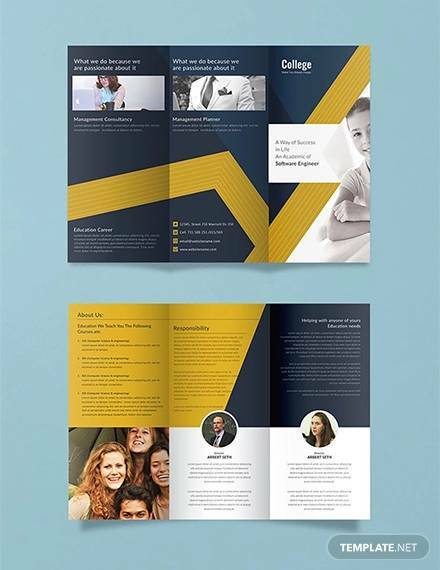 The color combination is magnificent with stylish layouts. 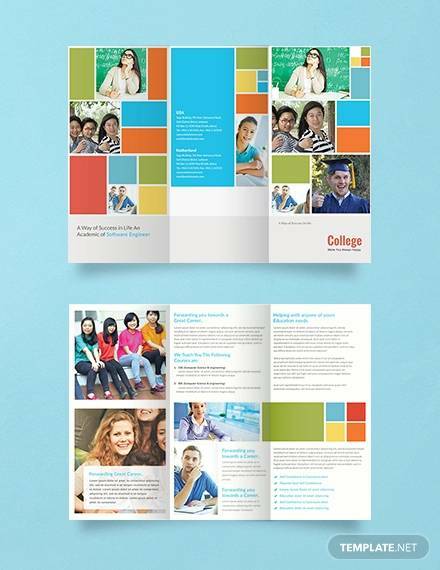 This stunning college brochure has amazing color combination which is sure to make the college’s value higher than usual. 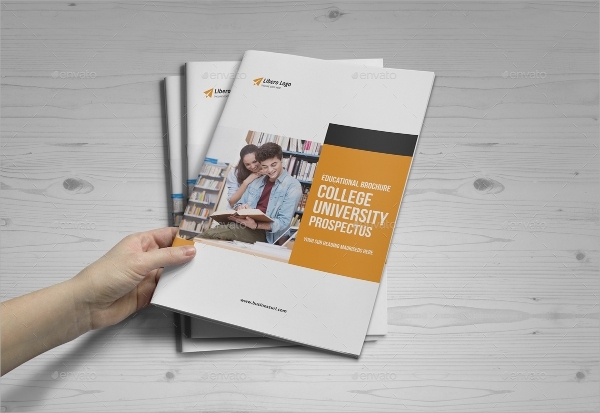 It comes in several color combination to match with the college base color. 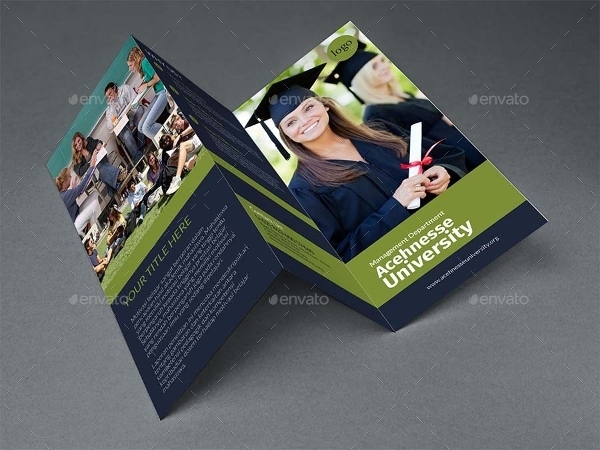 This awesomely designed college and university brochure comes in A4 and US letter size. 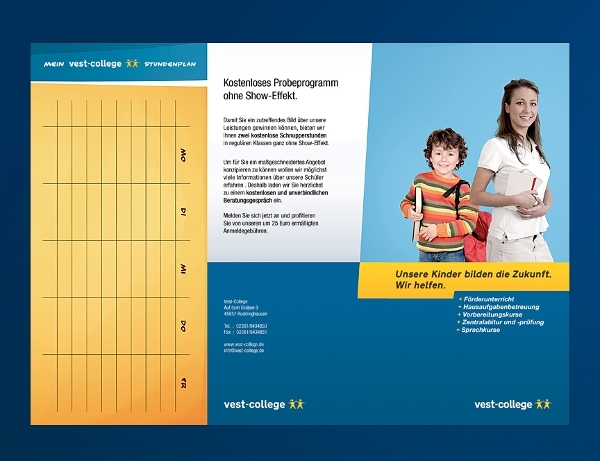 It is in print ready mode with 22 pages. 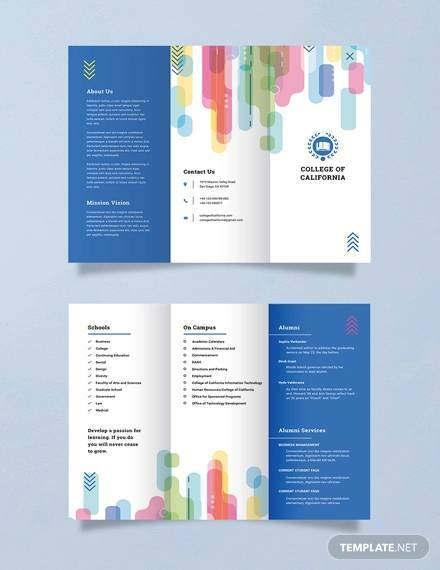 A user manual is provided for easy tweaking. 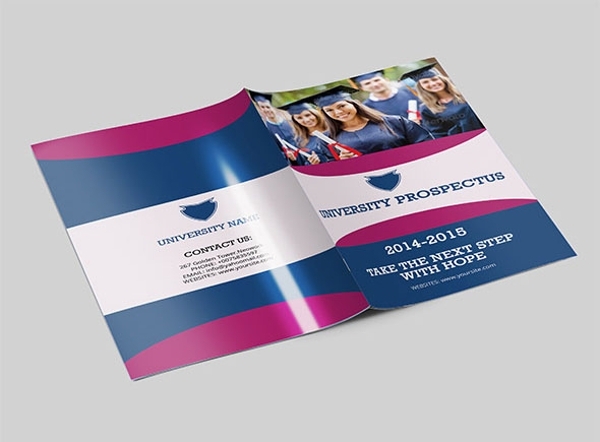 It comes in a collection of 4 differently colored college brochures in A4 size. 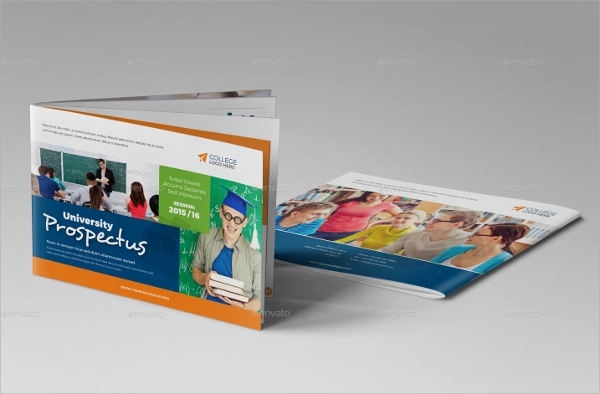 It is fully customizable and is in print ready CMYK mode with 300 dpi quality. 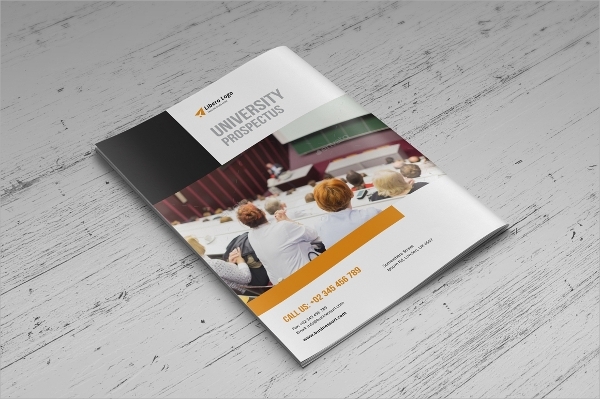 This simple and minimalist designed college and university brochure looks amazing and attractive. 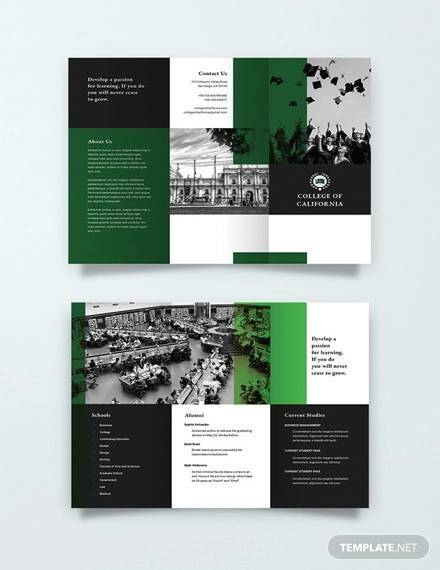 Each page in uniquely designed with one main color combination. 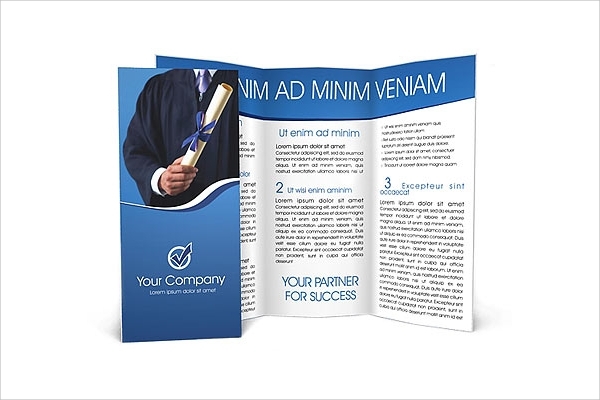 It can be fit in any size due to its vector property. 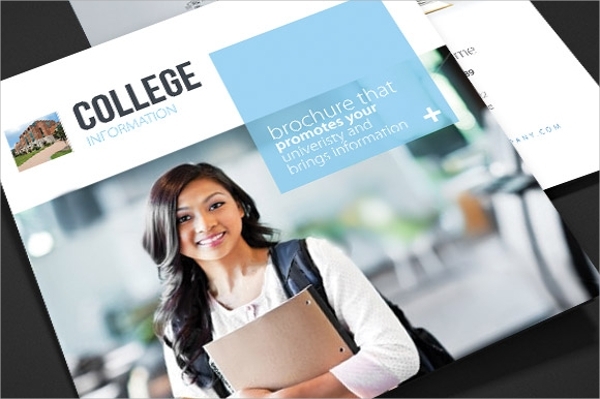 This 100% print ready college and university brochure has many colorful and attractive objects with which it is designed. 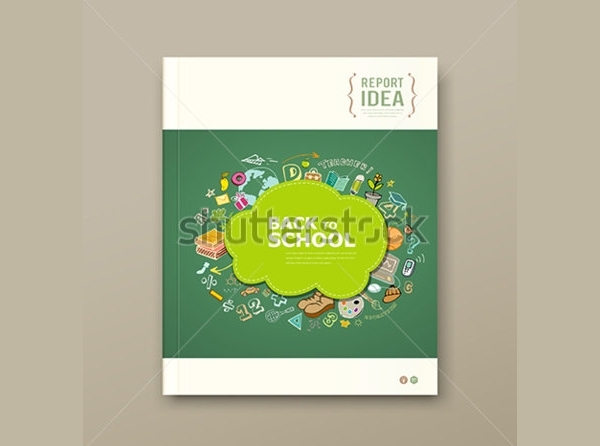 Any photo can be imported and attached easily. 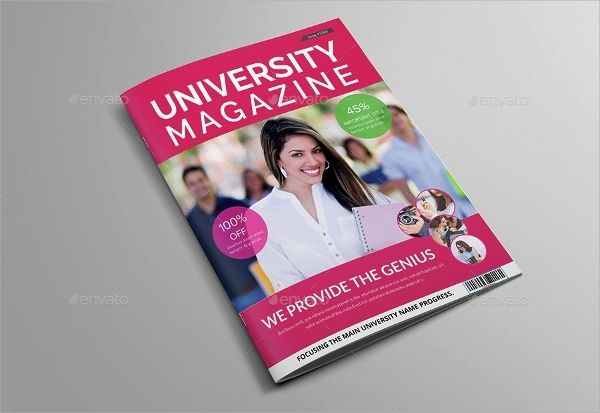 It has 24 pages. 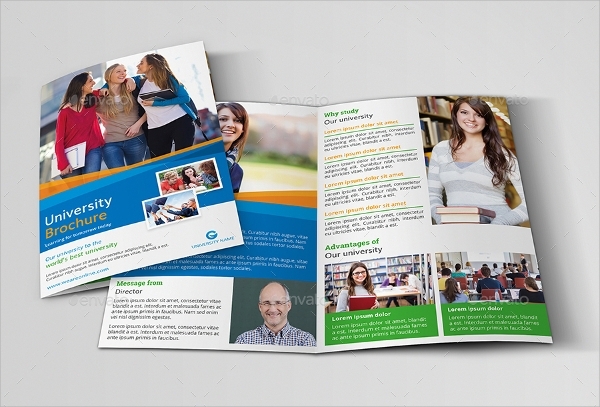 This print ready with CMYK mode college brochure has bright colors and any photos can be imported and insert at any place with easy. 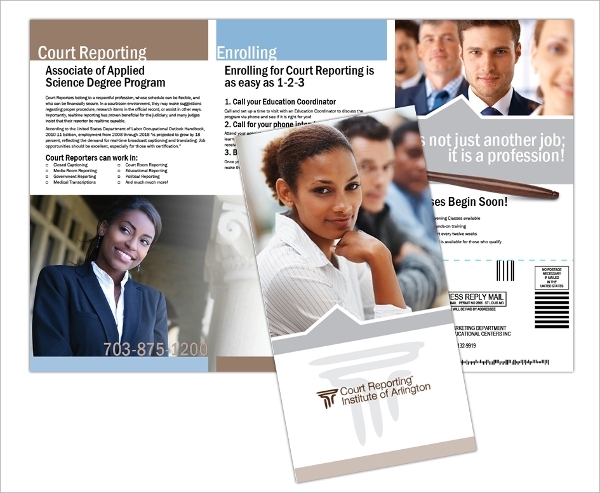 It comes in 4 color variation all of which are grand. 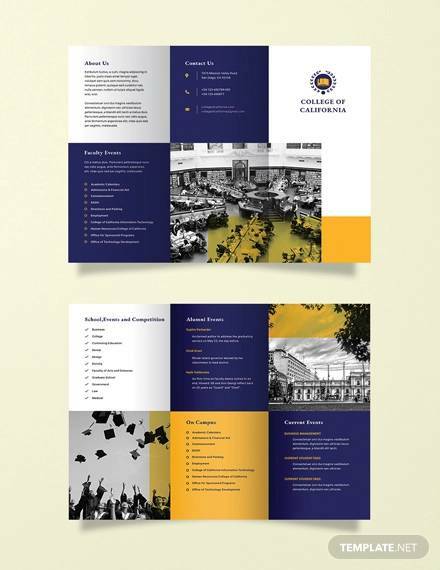 College brochures mentioned above are going serve all your purpose and they can also be used for any institute regarding education. 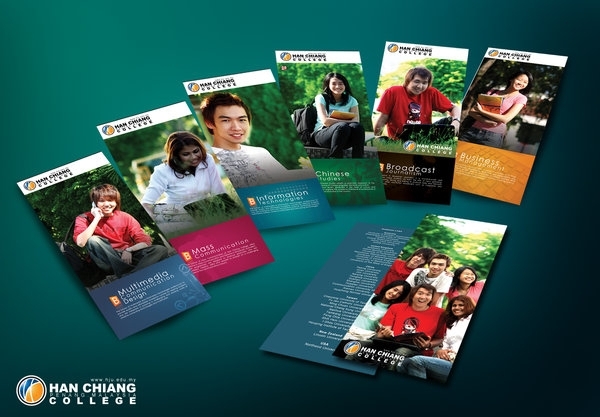 They have awesome covers which are very attractive and enough to set each college premium and distinctive. They are vector in nature and 100% scalable.